Environmentalists at COP24, a United Nations climate conference in Katowice, Poland, are worried that France is setting a bad example by backing off a climate tax after hundreds of thousands protested. 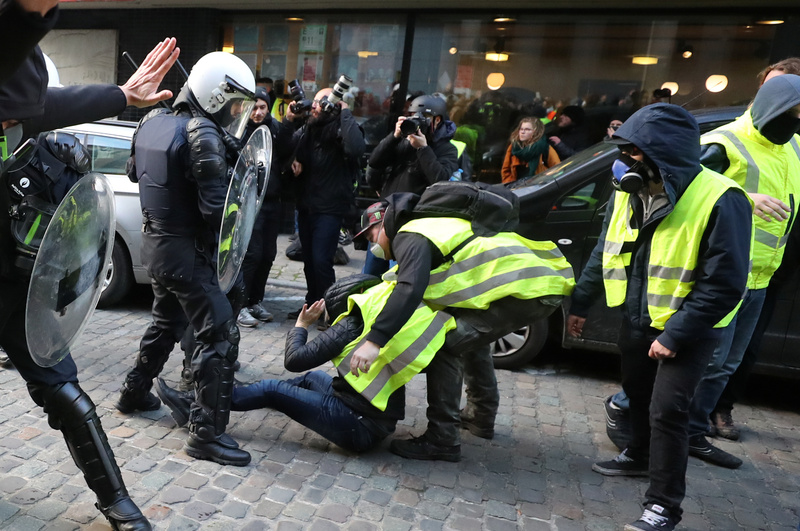 French President Emmanuel Macron postponed a gas tax hike Tuesday for six months after the proposal ignited protests that have lasted over two weeks. The protesters, known as “yellow vests” after the yellow traffic vests they wear, have built roadblocks across France and marched in peaceful demonstrations. Others have rioted against the government in Paris, damaging artwork, setting fires and tipping over cars. “If France is putting a brake on the carbon tax, it puts a brake on energy transition and sends a very bad signal to economies that rely on coal, on fossil fuels, and shows that every nation is just slowing down,” Pierre Cannet, head of climate and energy policy at World Wildlife Fund France, told Politico. “At the end of the day the reason we need to take action is because the social and economic costs of climate impacts are far worse,” Camilla Born, a senior climate policy adviser at the think tank E3G, told Politico. Others skeptical of catastrophic climate change interpret the yellow vest protests as evidence of the strong unpopularity of climate policies. A weekend poll found that French support for the yellow vest protest is resting at 72 percent. The same poll found that 85 percent disapprove of the violence that some rioters have engaged in. U.S. President Donald Trump has turned the protests into a referendum on the Paris climate accord, which he is pulling the U.S. out of. The U.N. representatives have assembled in Poland this week to discuss how to enforce the carbon cuts agreed to in the accord in 2015.